“The minus 1 floor and the car park are flooded, but the OPs are functioning as usual,” said Ashok Menon, CEO of the hospital. 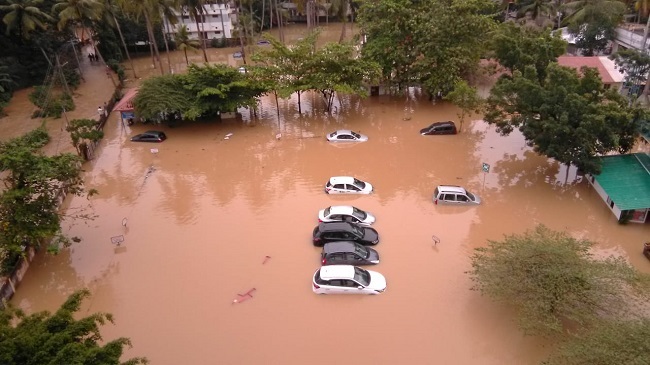 One floor of the Cosmopolitan Hospital in Thiruvananthapuram has been flooded due to incessant rains in the district, and several vehicles that were parked in the premises of the hospital are now under water. The management of the popular private hospital says they have made arrangements to keep it running. “This is a flash flood. It happened early in the morning. 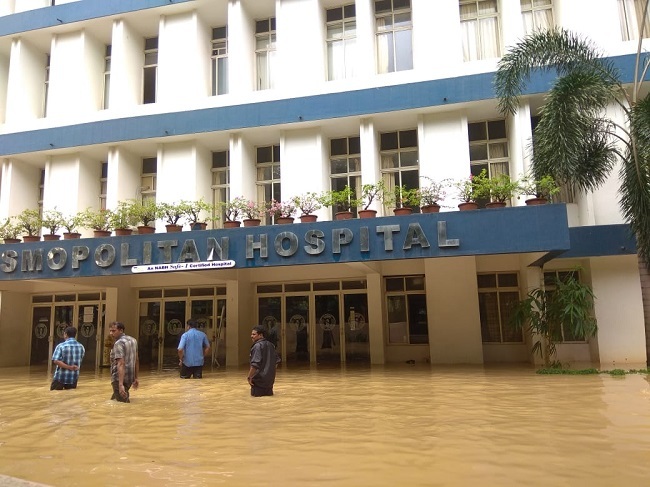 The minus 1 floor and the car park are flooded, but the OPs are functioning as usual,” said Ashok Menon, CEO of the hospital. This is the first time that the hospital – located in a prime spot in the city – has been so severely affected due to rains. The hospital is currently running on generator power. “The ACs are not working, and neither are the lifts. We have done emergency surgeries without the AC – but since AC is essential for some surgeries, we have had to postpone them,” Ashok Menon said. “All the equipment and medicines are in the upper floors so that's not affected. Dialysis is also going on as usual. But there will be some loss as an entire floor is flooded. A team has come to assess it,” he added. The reception that used to operate from the ground floor has been shifted to the emergency section on Wednesday. The outpatient units from the ground floor – Gynecology and Neurology – have been shifted to other floors as well. “Since it’s a holiday, we have a larger number of patients than usual. We have made sure that the functioning of neither the outpatient nor the inpatient units are affected,” hospital spokesperson Aneesh told TNM. Foreseeing such a situation, the hospital has been been making announcements since 12.30 am on Wednesday, asking people to shift their vehicles out of the parking area. There was a general as well as a door-to-door announcement. “We tried to wake as many people as we could, but since some of them were in deep sleep we couldn’t pass on the information,” Aneesh said. Sajith, a native of Pothencode, was in his car when the parking area got flooded. He was fast asleep sitting in the car. "At 3 am, I realised that the car was sinking. I had no clue on what to do. I drove the car with a vague idea of the path and managed to park in it on a higher area," he said. Sajith's son has been admitted in the hospital. Since only one attender is allowed in the room, he chose ro stay in the car.